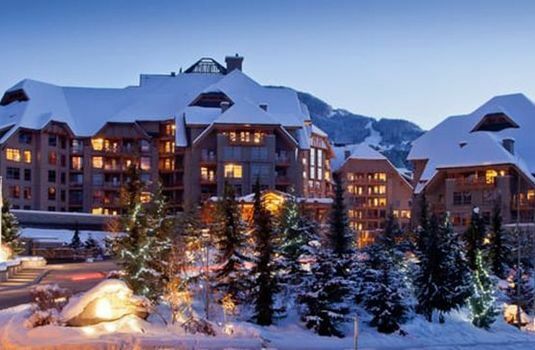 Arguably the most luxurious property in Whistler with legendary service. 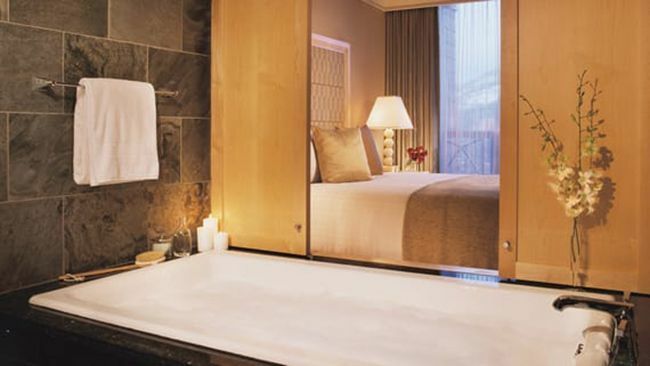 The stunning 5-Star Four Seasons Resort, awarded with the AAA Four Diamond award, only given to establishments that reflect the characteristics of ultimate luxury and sophistication, offers top quality and service, delivered in a relaxed and calm environment. 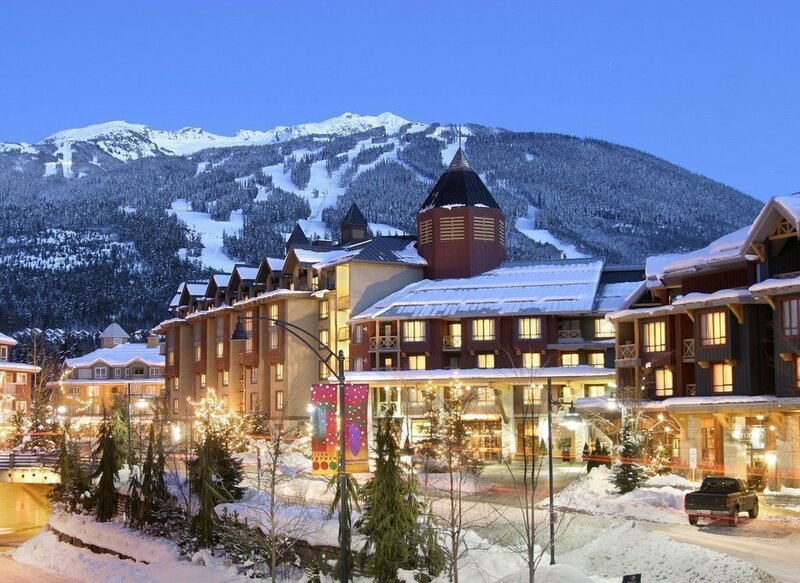 The hotel is a short 5-minute walk to the Blackcomb lift and operates an excellent ski concierge service at the base of Blackcomb Mountain, where you can leave all your equipment overnight simplifying the rental and returns process through the duration of your stay. 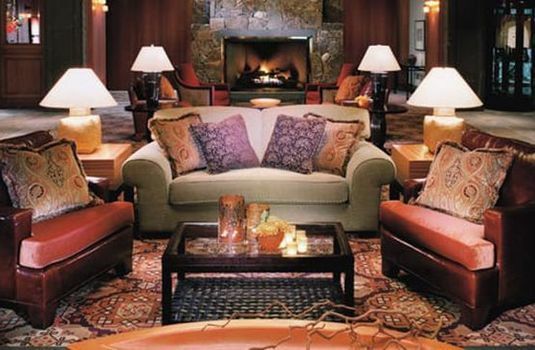 With an on-site restaurant and bar as well as additional aprés bar, the Four Seasons Resort caters for your every need. 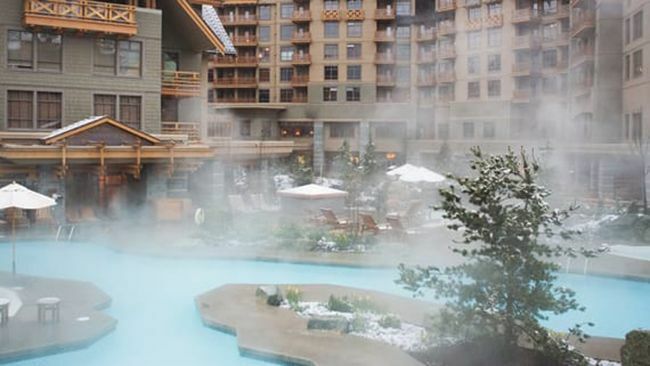 The hotel offers a heated outdoor pool, 3 whirlpools with views looking onto Whistler and the Blackcomb mountain, as well as a full-service spa and health club. 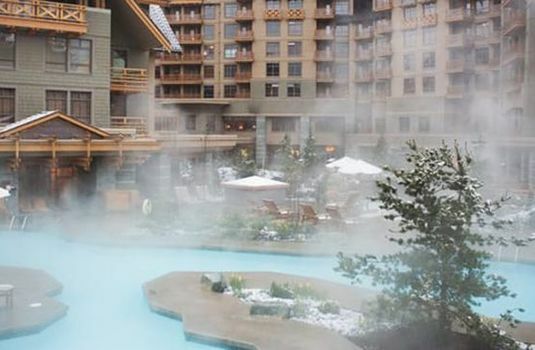 It also hosts a resort shuttle service, taking you to and from the centre of Whistler. 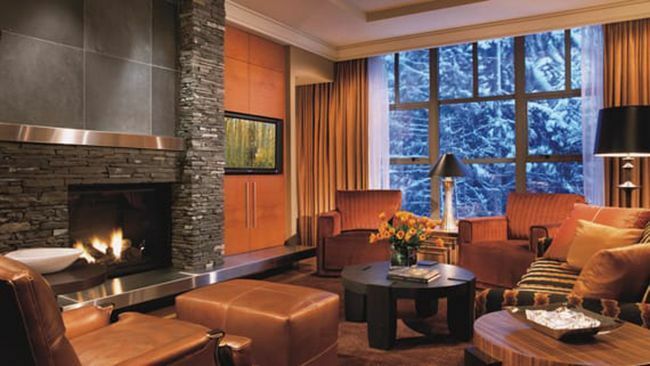 All 273 rooms feature wood interiors, gas fireplaces, balconies, high-speed Internet access, down duvets and pillows, bathrobes, hairdryers, irons and ironing boards, large-screen HDTVs, CD/DVD players, safes, fully stocked private bars, coffee and tea, twice-daily housekeeping service, deep soaking tubs, separate glass-walled showers and double vanities. 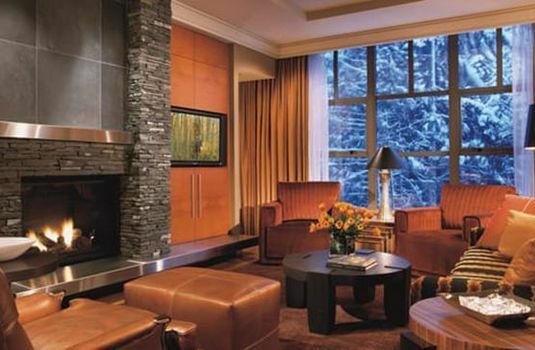 Deluxe Four Seasons Executive Suite - Ideally designed for family ski holidays, the Deluxe Suite offers a separate bedroom and lounge area offering amazing views of the surrounding mountains from the suite's balcony. 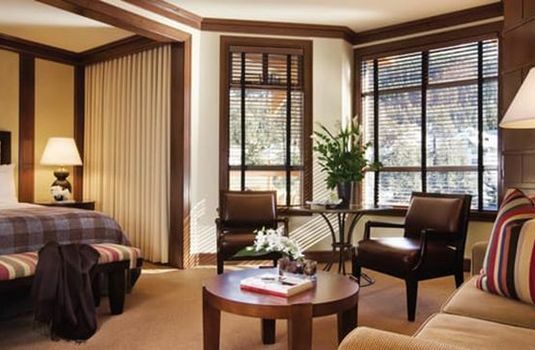 Four Seasons Executive Suite - Another well-equipped suite suiting families with its excellent lounge and bedroom. 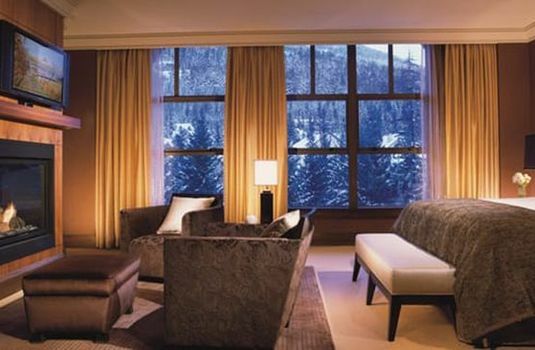 Premier Room - Premier rooms are generously sized and provide the best view of the mountains of all rooms in the resort, sleeping either three adults or two adults and two children. 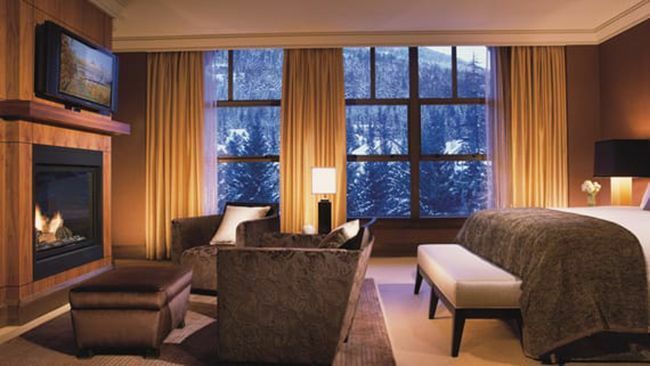 Deluxe Room - Featuring a king size bed, the deluxe room offers a comforting atmosphere after a long day of skiing. 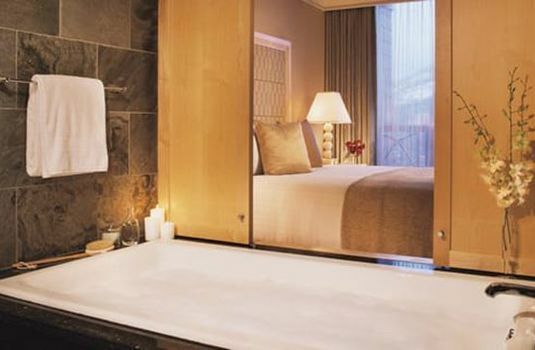 Superior Room - The superior room features a brilliant king sized bed and generously sized bathroom to suit the needs of all guests. 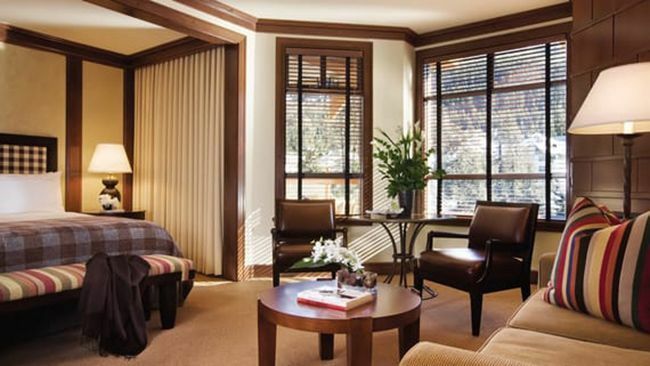 The room also includes a wonderful separate seating area away from the bed. 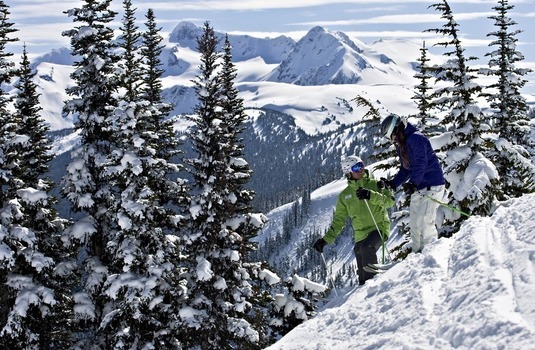 Whistler is one of the most highly regarded destinations in the World for ski holidays. 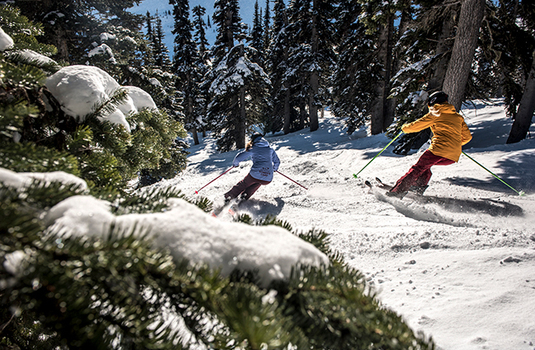 Some will never holiday anywhere else. 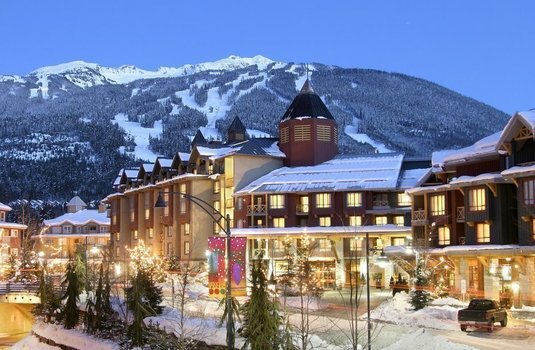 Whistler is the biggest ski area in North America and one of the most famous ski resorts in the world. The mountain is all about flying through the trees, playing in high open bowls, and magnificent snow. 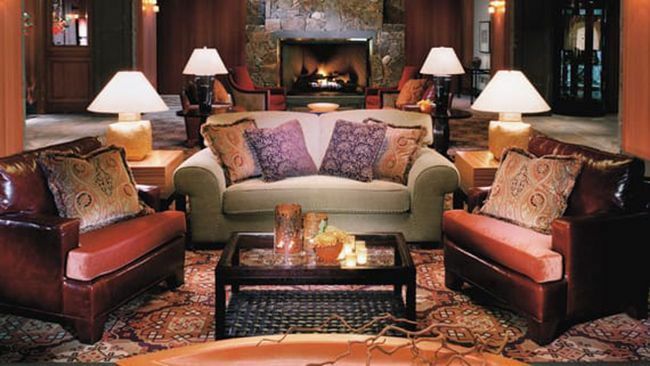 Coupled with all the delights of supreme modern village, you might say this is as good as it gets. 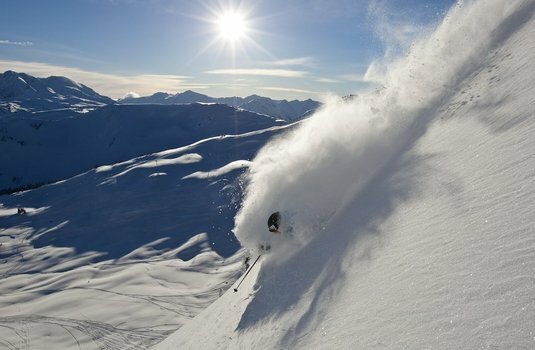 For intermediates, Whistler is a playground like no other, with extensive terrain that includes long cruising groomed trails through the trees and beautiful blues on the Horstman Glacier which dazzle in the sun. 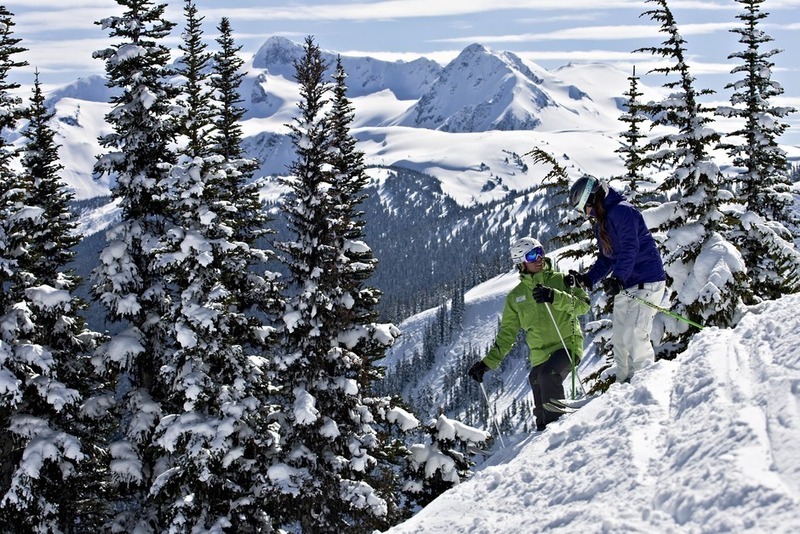 Some good off-piste can be found amongst the ridges and bowls across Whistler Mountain, and there are incredible views from blue trails in the same area. Experts will love the steeper bowls and gullies available and, though terrain is a little more limited for beginners, the nursery slopes are excellent. 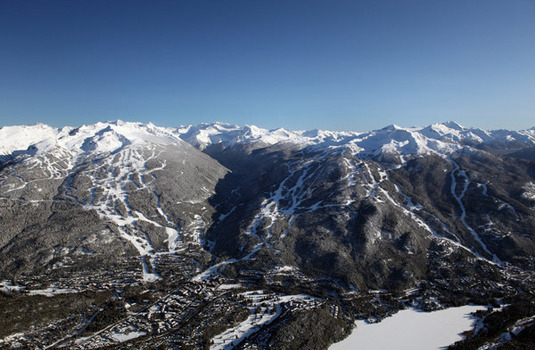 Plus, in 2008, Whistler opened the Peak 2 Peak gondola – Whistler Blackcomb’s breathtaking new lift spanning the Fitzsimmons Creek linking Whistler and Blackcomb mountains covering 2.4kms in 11 minutes. 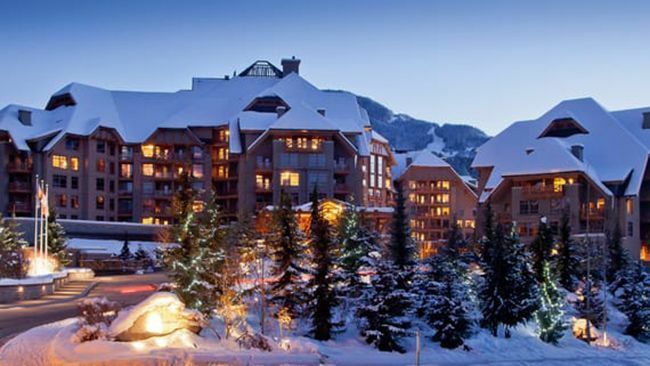 Whistler Village is a varied cluster of chalets, apartments and some high-rise blocks. It is purpose-built but tasteful, with a car-free centre. The colourful variety of apres-ski bars and the vast array of eateries means the only difficulty is choosing where to go. 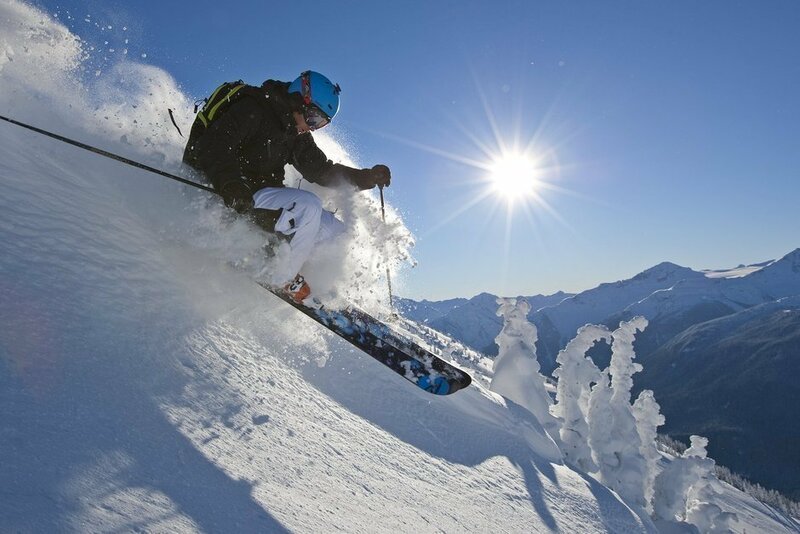 The village is very lively, but there are rocking bars with live music as well as quiet and cosy snugs; gourmet restaurants (make sure you book in advance) as well as cheap and cheerful cafes - whatever you’re looking for, something will fit the bill.